Summer is finally here! Sun and heat, pleasure and relaxation, sunbathing and swimming… Who wouldn’t want that? But summer is also a source of attacks for your skin (dryness, tightness, excess of oil, sunburn ...). It is therefore essential to adapt your care routine to the specific needs of your skin during that season. Specifically, it must ensure an optimum level of comfort and protection while strengthening its natural defenses and activating tanning mechanisms for a uniform and long lasting tanned complexion. 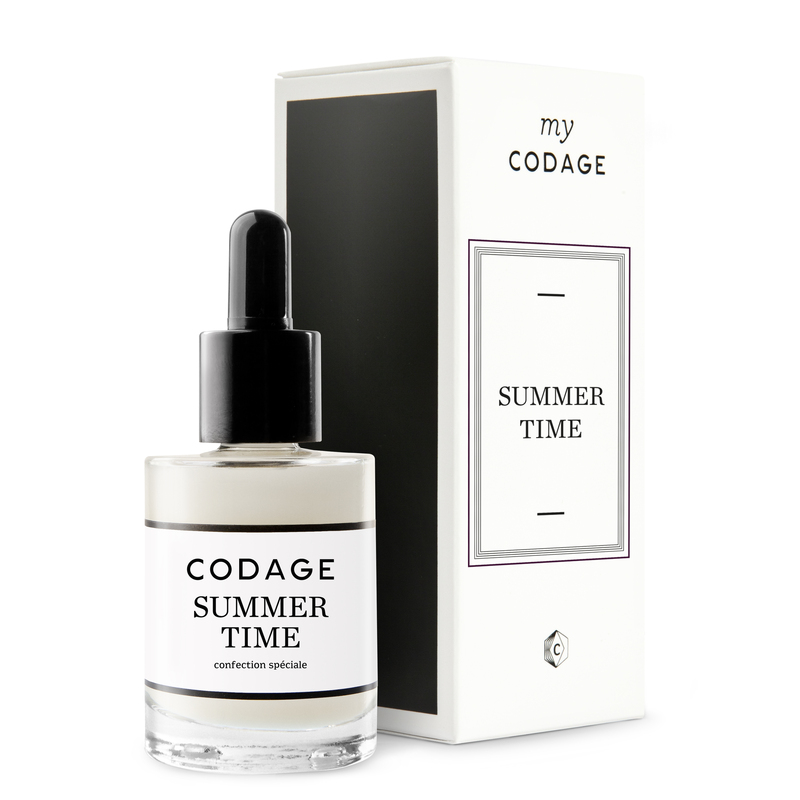 SUMMER TIME: This is the time to switch your routine to summer time period! In summer, the skin dries out. To maintain its integrity and firmness, it definitely needs to maintain an optimal level of hydration. However, with the heat, the sebaceous glands often become hyper-functional and it is then during summer that the skin secretes more sebum, causing at the same time pore dilation. It will therefore be necessary to fight effectively against skin dryness while mattifying slightly your facial T-zone, by tightening the pores. Affected by the heat and sun exposure, the epidermal structure is deteriorating and its permeability increases. Attacked, the skin feels tight, gets itchy and experiences hot sensations. To provide maximum comfort, especially for sensitive and light skins, your summer care needs to be soothing. Subjected to heat, our body temperature increases, causing its dehydration.True oxidative stress, the heat is also responsible for the destruction of our body cells. Because nature is well done, in response, we produce Heat Shock Proteins (HSP), in charge of the protection and the repair of these cells’ constituent proteins, when subjected to these external stressors. A corrective action, maintaining size and viability of HSP during stress periods. Moreover, with rain becoming rare and with heavy and hot climate in summer period, the highest peaks of pollution of the year will take place. Particularly harmful to the skin, we must be extremely vigilant during that period to protect oneself and to prevent the adhesion of those pollutants on the skin. Tanning is the result of the synthesis of melanin during skin exposure to UV rays. Also, more the mechanism of melanin synthesis is optimized, more uniform and long lasting will be the tanning. Of course, sun protection (index above 20) is essential to effectively protect the skin against sun damages. Mosturizer medium dosage: Increases the power of skin’s water retention for a deep and even hydration of the different epidermis layers. Anti-pollution maximum dosage: Increases skin's natural protection against pollutants by preventing their adhesion and by facilitating their elimination. Mattifyer minimum dosage: Balances the production of sebum and reduces the size of the pores for an immediate and long lasting mattifying effect. Heat protection: Preserves the power of skin’s hydration and protection under intense heats. Skin Soothes maximum dosage: Soothes sensitive skin and strengthens defenses against inflammatory reactions.